People buy people so it makes sense to ensure you and your people look as great as possible when promoting your business. All shot on location at your business premises, each of these packages will provide you with a selection of corporate headshots that can be used on websites, LinkedIn profiles, PR pieces and broader marketing materials from as little as £150. If you really want the personality and expertise of your staff to shine loud & proud then a character package could be just right. The outputs will be just the same as in our Commercial Package in terms of size & format of shots but with the character package we capture each member of staff both traditionally AND highlighting the nature of their role. This could be capturing a Draftsman at his board, a Warehouse Operative carefully packing the next delivery or your FD carefully counting the pennies. Whatever direction, it will be based on the character & tone of voice of your business. With prices starting from £250 for a team of 6-15. 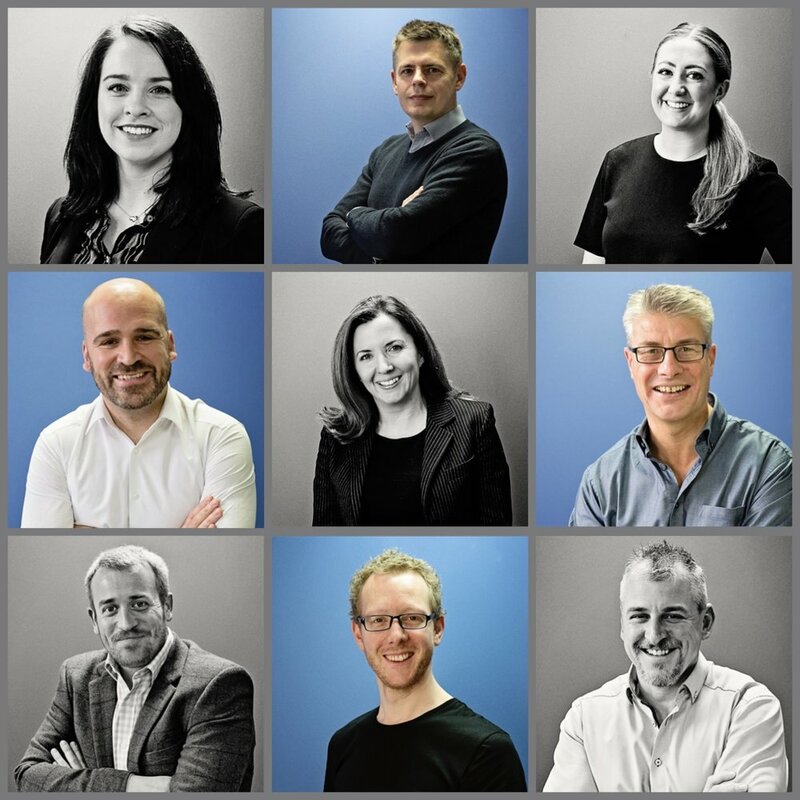 Just need a selection of team shots to update your website? The starter package is perfect for keeping costs and time to a minimum. With one image per team member provided in both colour and black and white, this type of session is shot on-site and dependent on number of staff can take less than an hour. An average team of under 10 people can be as little as £150. Please provide any further information you think might be helpful such as a budget you have to stay within, requirement to shoot at more than one location or if a more bespoke package is required. The process for any of the above packages is straight forward and designed to minimise impact on your business. First, a discovery call to chat numbers of people, nature of business and to address any questions you may have ahead of schedule. Second, for both the Commercial Package and the Corporate Character Package a visit to your premises will also be necessary before the actual shoot. This usually lasts no longer than 15-20 minutes and is purely to address issues around lighting, space etc, and is also an opportunity to spot further photographic opportunities. Third, before the shoot you'll be sent all necessary information, what to wea, timings and where necessary a moodboard of shots to confirm the style of photography. Finally, the shoot takes place, with the amount of time needed agreed in advance. Hopefully with everything planned, the day itself will be stress free and maybe even a little fun! All images will then be supplied in low and high resolution versions within 2 weeks of the shoot.